NOTE: AAA memberships run for a calendar year, not for a year from date of payment. Memberships paid before November 10 are credited for the current year; memberships paid after November 10 are credited for the following year. AAA is not responsible for fulfilling mailings, publications and services to members who fail to notify AAA of address changes. Joint AAA/EAA Regular Membership: $100.00 per calendar year for all members worldwide. Members receive online access to the Journal of Advertising, The Journal of Current Issues in Advertising Research, the Journal of Interactive Advertising, AAA Conference Proceedings, official AAA mailings, and the online AAA newsletter. Print copies of future issues of the Journal of Advertising are sent to all members once dues are paid. And, there is a special member price for print copies of JCIRA. Also, includes voting privileges. Joint membership includes the EAA/ICORIA newsletters, a discounted rate for ICORIA, and voting privileges. Joint members also have online access to the International Journal of Advertising. Joint AAA/EAA Student Membership: $50.00 for all members worldwide. NOTE: Must be a currently enrolled full-time student. May not hold office or vote (AAA Constitution, Article IV-5). Students are entitled to all other Regular Membership benefits plus the EAA/ICORIA newsletters and a discounted rate for ICORIA and online access to the International Journal of Advertising. Regular Membership: $80.00 for all members worldwide. 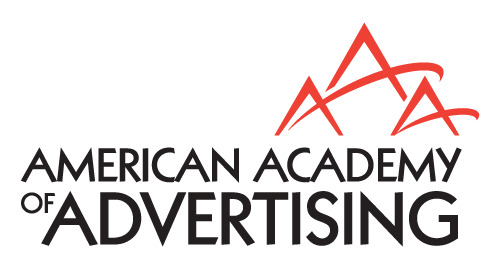 Members receive online access to the Journal of Advertising, ;The Journal of Current Issues in Advertising Research, the Journal of Interactive Advertising, AAA Conference Proceedings, official AAA mailings, and the online AAA newsletter. Print copies of future issues of the Journal of Advertising are sent to all members once dues are paid. And, there is a special member price for print copies of JCIRA. Also, includes voting privileges. Student Membership: $35.00 for all members worldwide. NOTE: Must be a currently enrolled full-time student. May not hold office or vote (AAA Constitution, Article IV-5). Students are entitled to all other Regular Membership benefits. Retired (with Journal option): $40.00 for all retired members worldwide. Retired members are entitled to all Regular Membership benefits and have voting privileges. For membership questions, please contact Pat Rose. For technical support, please contact support.